At Powell Dental Sleep Solutions, our goal is to help our patients sleep better by providing the most effective and conservative treatments possible. However, in some cases where more traditional therapies are not successful, corrective surgery is the only option. Dr. Shelley can explain the various airway procedures to you and also answer any questions you might have. She can then refer you to the appropriate specialist to have it performed. Could airway surgery be right for you? Read on below to learn more about it. How can Powell Dental Sleep Solutions help with Airway Surgery? 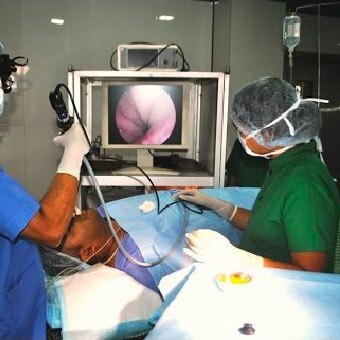 DISE (drug-induced sleep endoscopy) is a procedure performed under sedation by an otolaryngologist that allows visualization of the airway. This procedure evaluates the size, structure shape, and patency of the nasal septum, nasal turbinates, adenoids, tonsils, velum, soft palate, sections of the throat (pharynx and larynx), vocal cords, epiglottis areas, and behavior of the airway through jaw maneuvers. DISE provides information that is useful in determining the appropriate therapy to best treat difficult or non-responsive airways resistant to traditional therapies. It may also be performed to assist in the selection of effective treatment options prior to therapy. UPPP (uvulopalatopharyngoplasty) is a common surgery to treat moderate to severe sleep apnea in adults with particularly large tonsils and adenoids. It removes and repositions excess tissue in the throat to make the airway wider. The surgeon may trim down your soft palate and uvula, remove your tonsils and adenoids, and reposition some muscles of the soft palate. Studies have shown that this is very effective for resolving snoring and OSA of the velopharynx. Long-term scar tissue may develop over time and decrease the effectiveness of the procedure. The lower throat, back of the tongue, and upper part of the voice box are areas that may also contribute to airway collapse. Other procedures aim to advance and stabilize the hyoid bone at the tongue base and epiglottis or decrease the size of the tongue. 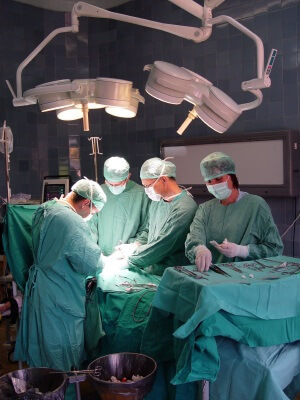 The most appropriate type of procedure varies from one individual to another, and the determination is primarily chosen based upon the patient’s anatomy and pattern of obstruction. These procedures require hospitalization and overnight stay. Skeletal procedures may widen the palate through orthodontic expansion, particularly in pediatric patients. 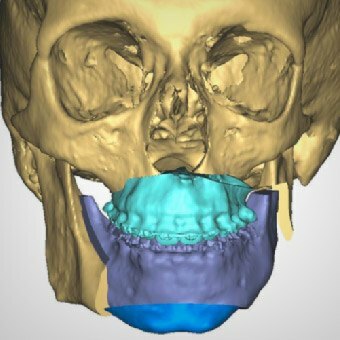 Maxillomandibular advancement surgery includes several procedures that open the airway by repositioning the upper and lower jaw forward. These procedures come with increased risk of complications, longer recovery, and cosmetic changes. Potential benefits must be cautiously considered against potential complications for this type of procedure to be performed.